Registration is mandatory (remember to state any food allergy or dietary requirements). 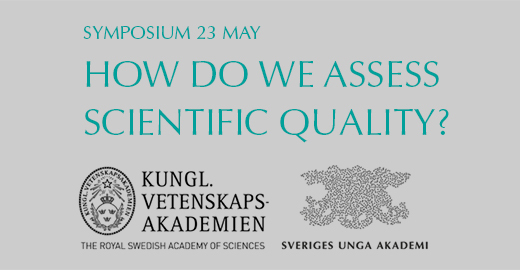 The symposium is organised with support from The Knut and Alice Wallenberg Foundation (KAW), The Swedish Foundation for Strategic Research (SSF) and The Swedish Research Council (VR). The purpose of the symposium is to invite to a thorough discussion on how breakthrough science may be identified and supported in a rapidly changing scientific landscape. Can breakthrough science be predicted? Do we encourage bold science and are we able to identify worthy risks? Or do we favour productivity rather than creativity? Commentaries by leading representatives from Swedish funding agencies, and others.